There are many metrics that can be used to measure the success of an email campaign. Based on the goal of the campaign, some metrics might be more important than others. Delivery rates and open rates will tell you if your email list is accurate and if your subject line is catchy. However, the true value from your campaign lies in the click through rate and the conversion rate. Based on your campaign goals, this will tell you who was actually interested in your content and which leads converted from the email. These metrics prove the actual ROI of each email you send in your campaign and tell you if you are getting value from your effort or if you need to reevaluate your strategy. So, how do you create email campaigns that provide value to you and and your audience? We’ve come up with a checklist of three items to include in every email campaign that will increase the value of your emails and provide you with a better ROI on every campaign. Each email you send should have a goal or a purpose behind the send. Think of how frustrating it is when someone tries to communicate with you and isn’t clear about the reason for the phone call or message? Your contacts feel the same way if they get emails from you and cannot determine the reason why you are emailing them. Whatever the goal is, be sure to be clear about your intentions in the whole email. Don’t make your contacts feel frustrated or unclear on the reason behind your message. This will push them away and make your emails and content easy for your contacts to ignore, which is the exact opposite of a valuable email campaign. After you have decided on the goal for your email campaign, you must then develop the offer. The offer is what you will present to your contacts as the reason for the email. Each offer will be designed to help you reach the goal of that particular email campaign. For example, if your goal is to get more traffic to your blog, then your offer would be an interesting and relevant link to one of your blog articles. If your contacts aren’t subscribers to your blog, you could even add a call to action on that page for them to sign up for a blog subscription. Another example could be a lead nurturing email campaign. In this campaign your goal is to guide your leads further through the sales funnel with the hopes of closing them as a customer. This is accomplished by entering them in a drip campaign that automatically sends them content designed to help them through the sales funnel. In this scenario, the content is your offer. You could start with sending them a blog article that gives a overview discussion of a topic that will solve a problem your contact has. Then, you will send them an email with link to a case study or book that discusses the solution to that problem. Finally, you could send them an email with a link to schedule a free consultation with your company to see if you can be the solution to their problem. 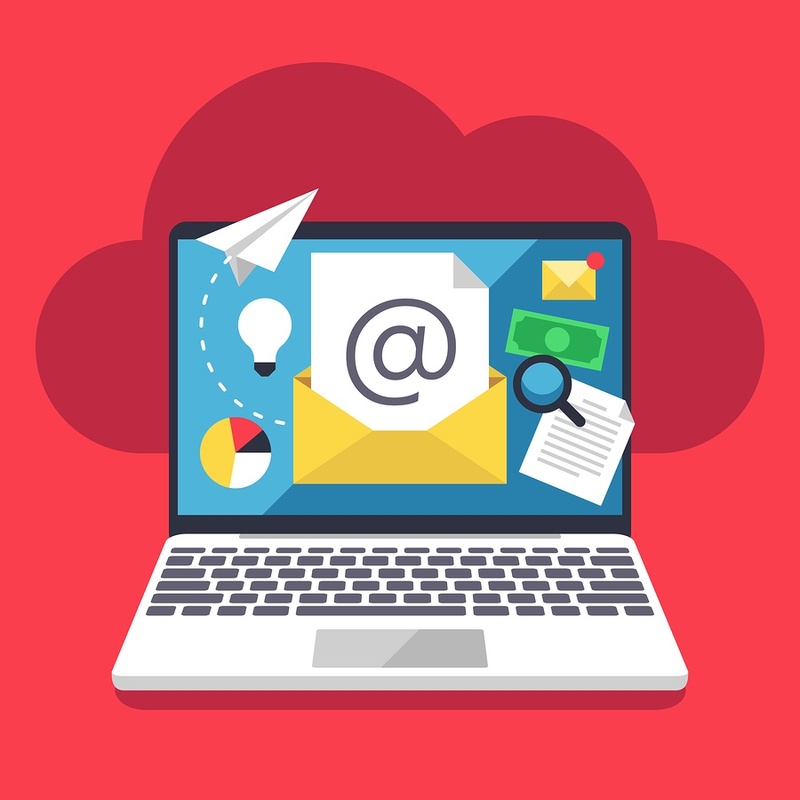 In both of these examples, you have designed an offer for each email that will help you accomplish the initial goal you have set for each email campaign. Without these goals and offers, there is no incentive for a contact to interact with your email. Without that interaction, your email campaigns are not providing true value to your company. The final way to create value from your email campaigns is to establish a clear pathway for your leads to follow. If you have created an offer to help you reach your goal, you will be asking your contacts to take some form of action after opening and reading your email. Whenever you are asking contacts to do something, you need to create a path of least resistance for them to follow. People do not want to do things that are hard or things that create friction for them, especially on the Internet. To truly have a valuable email campaign, you must have your contacts take action on your emails, which is accomplished by a clear pathway. As an example of this pathway in action, let’s say that your goal for your email campaign is to have your lead download a piece of content. Your lead has visited your website and filled out a form requesting a copy of your ebook you are promoting on your site. You receive the request and have an automatic email campaign set up to deliver this ebook. After you receive the request, your contact will get an email. The goal of this email will be to have your contact download the ebook and the offer will obviously be said ebook. Your contact opens up the email which clearly states the purpose for the email and have a prominent CTA which says “Download your ebook.” Once they have clicked the CTA, they will have a copy of the ebook and your goal for the campaign will be accomplished. The final step of this pathway is the follow up. You have a great option in cases like this where the goal is content download to follow up by entering your leads into a nurturing campaign. They have already shown interest in your company and your content, so it would make sense to follow up with a new campaign that continues to give them more specific content designed to close them as a customer. Even if your follow up doesn’t warrant a nurturing campaign, it is still an important part of the pathway. If your goal was to get subscriptions to an email newsletter, your follow up would be sending the actual newsletter. If your goal was to get site visits or blog visits, your follow up would be to send more articles designed to pique the contact’s interest. If the goal is to gain additional information, the follow up would be to send content that is relevant to that particular information. By creating these simple pathways for leads to follow in your email campaigns, you encourage action and continued interaction with your contacts. This continued interaction should lead to contacts being closed or retained as customers. By doing this, you will see true value from your email campaigns. Email is a great way to reach out to your contacts and leads. However, if all your contacts and leads are doing is opening your emails, you probably are not getting true value from your campaigns. To reach goals and see a ROI on your emails, you must first set goals and then develop emails that encourage action and interaction from your contacts. By doing this, you will actually be able to measure the effectiveness of your email campaigns and create campaigns the provide value to your company.